Item # 319522 Stash Points: 9,995 (?) This is the number of points you get in The Zumiez Stash for purchasing this item. Stash points are redeemable for exclusive rewards only available to Zumiez Stash members. To redeem your points check out the rewards catalog on thestash.zumiez.com. 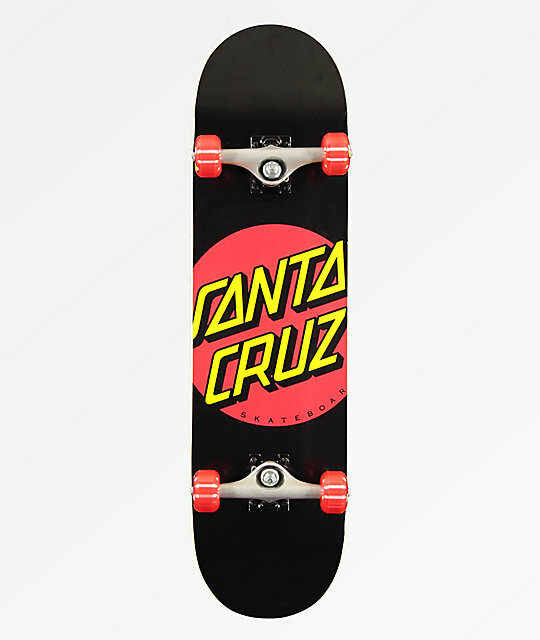 Get a pre-built skateboard as ready for the plaza as it is the bowl, with the Santa Cruz Classic Dot 8.25" Skateboard Complete. Whether your just starting or coming back to skating, this pre-built complete comes with a mild concave shape for a stable learning surface for all-types of tricks. Bullet trucks offer stable stalls and hill bombs, while the abec 5 bearings carry speed excellently so you can push less and shred more. Finished off with 53mm, 99a OJ wheels for controllable grip and an ideal middle-ground of acceleration rate and top-end speed, this set-up is ready to shred whatever you lay eyes on. 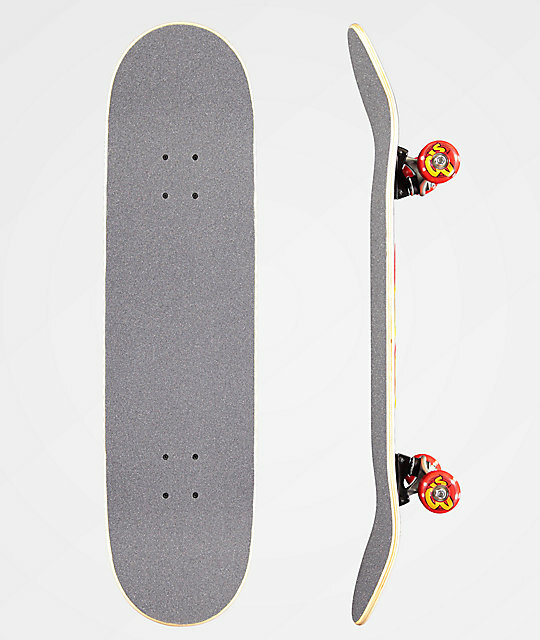 Classic Dot 8.25" Skateboard Complete from Santa Cruz.